You notice it suddenly one day when you come home and open the door – an unpleasant odor that you haven’t detected before. What could it be? You check the garbage, but that’s not it. Maybe you left some wet clothes in the washer? No, that’s not it, either. You wander around the house, looking high . . . and finally low. Could it be your carpet? If you haven’t cleaned your carpet in a while, or if your carpet is older, it very well could be the source of the odor. You can go out and purchase a commercial carpet deodorizer, but many of those are full of chemicals or may have an overwhelming sent, triggering an allergic reaction. Commercial deodorizers can also be expensive. Thankfully, there are other options for carpet deodorizing that may not require a special shopping trip, and they use ingredients that you probably already have. Before you use any product on your carpet, consult your carpet manufacturer to see how your particular material should be treated. If you don’t know who the manufacturer is or if you aren’t sure exactly what type of carpet you have, always test the product on a small area (preferably in a spot that’s out of view, such as in a corner or under a large piece of furniture) before widely applying. Good old baking soda – This all-purpose household cleaner can work as a carpet deodorizer, and it’s easy to use. It has almost no fragrance and is inexpensive. You’ll probably need a big box for carpet cleaning or to transfer the baking soda to a container with a perforated top for even coverage. Simply shake the baking soda evenly over the carpet. Be generous in your application. Then, work the baking soda down into the carpet fibers as deeply as you can, using a brush, a broom or your fingertips. Now, let the baking soda sit on the carpet for as long as it can, even overnight if need be. Vacuum the carpet thoroughly. You can repeat the baking soda carpet cleaner process as often as needed. 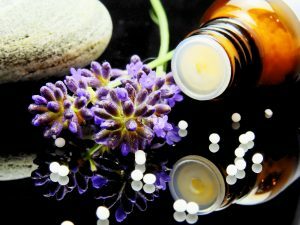 • Essential oils – If you prefer to add some fragrance, mix in a few drops of your favorite essential oil into the baking soda before applying it to the carpet. Some good deodorizing choices are citrus oils, such as lemon, orange or lime, as well as lavender, peppermint, rosemary, cinnamon or eucalyptus. • Spices and herbs – If you don’t have any essential oils on hand but like the idea of adding some scent, you can mix some dried spices or herbs into the baking soda. Spices like cinnamon, cloves and nutmeg have a pleasant fragrance, or you can try sweet-smelling herbs like rosemary and thyme. 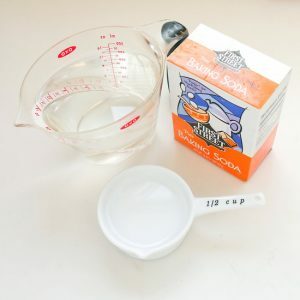 • Borax – For tough carpet odors, try mixing in equal parts of borax to the baking soda for a carpet freshener (with or without the addition of fragrant oils or spices). 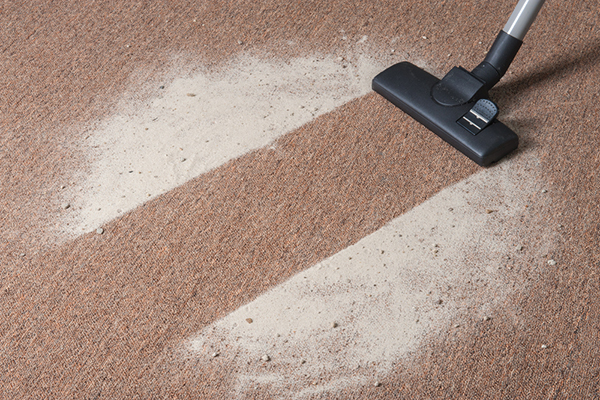 Leave the mixture on the carpet for an hour or longer, then vacuum like you would when using plain baking soda. 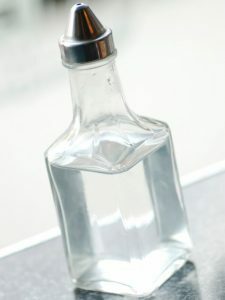 • Vinegar – This natural household workhorse is especially good for spot cleaning and deodorizing. Put white or apple cider vinegar into a spray bottle along with some warm water (about a one-half to one cup of vinegar for each gallon of water), and spray the area well. After spraying, let the area dry completely. The vinegar scent will dissipate, taking many other odors with it. If the temporary vinegar odor bothers you, just add a few drops of essential oil like mentioned above. • Club soda – Known best for getting stains out of carpet and fabric, club soda can also serve as a natural carpet deodorizer. If you have a spill or a pet stain on your carpet, blot the area immediately. Then, pour some club soda directly onto the stain or onto a cloth, and blot the area again. Be sure to use a light blotting motion – don’t rub – to avoid damaging the carpet fibers and altering the appearance of the carpet. • Avoid or minimize eating and drinking in carpeted areas. If your eating areas are carpeted, consider placing plastic mats or area rugs underneath tables, chairs and barstools for easy cleaning. • Keep a basket of old towels by the door for wiping pets’ paws before they come inside. • Have your family and guests remove their shoes before entering your home, or have sturdy mats both inside and outside entry doorways, and encourage everyone to wipe their feet well. • Vacuum carpets frequently, and treat spills right away. Never let a food, drink or pet stain remain on the carpet. • Make sure to have adequate ventilation in all carpeted rooms. Opening the windows when weather permits and running ceiling fans can help fresh air circulate. • Humidity levels that are too high can cause musty carpet odors. Consider using a dehumidifier if you have trouble keeping your home’s humidity levels down. If you try these homemade deodorizing solutions but the foul odor still lingers, it may be time to call a carpet cleaning professional. Tell the company what you think the source of the odor is. Be sure to ask what type of odor elimination process the company uses – you don’t want to simply mask the odor with perfumes that won’t last. Ask your family, friends and neighbors for recommendations, and be sure to request a cost estimate before work begins.